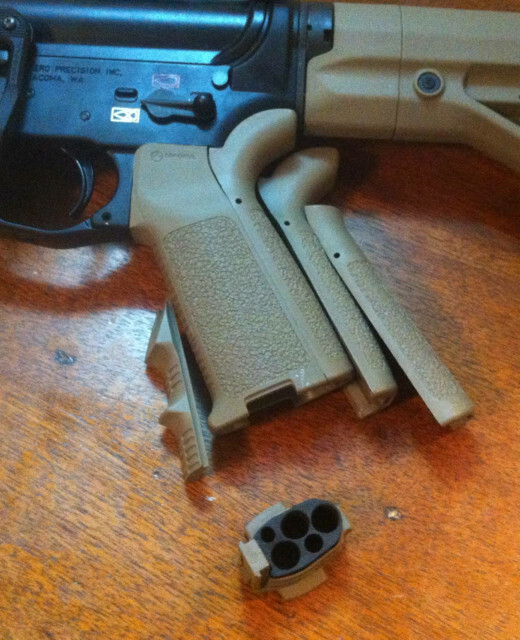 Magpul MIAD grip (1.0) in flat dark earth color. 3 round storage core, large, medium, and small backstraps, flat and A2 nubbin frontstraps included. No trigger guard front strap module. Mounted for a long time but lightly used. Local pickup available in downtown Minneapolis, MN. The best way to contact me is via email, username at gmail. On-site PMs may have a delayed response. Email sent for the Magpul FDE MIAD Grip.